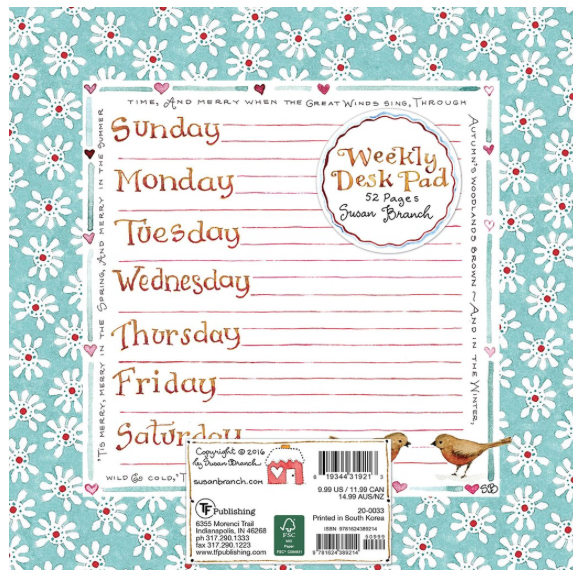 Keep yourself organized with a Susan Branch Pad. 52 pages. It measures 7.5" x 7.5"